Make sure your pet is protected from a young age. Find out what you need to know about vaccinating your cat or dog. Having your pet regularly vaccinated can make a difference to the cost of your pet insurance, as some pet insurance providers take this into account when working out your premium. Thankfully, most responsible pet owners consider vaccinations a routine part of looking after their pet, to ensure they’re properly protected. It's a good idea to get advice from your vet so you know exactly what vaccines your pet may need. They could help you set up a schedule so you know when the booster injections are due. Vaccines are vital for protecting your cat or dog from contracting dangerous diseases and illnesses. Some of these can be infectious so you should always make sure your pet's protected. Kittens and puppies are more at risk than adult pets because their immune systems haven’t yet had the chance to strengthen and develop. Therefore, they can be more prone to developing illnesses during the first few months. Many pedigrees, whether a kitten or a puppy, should already have been vaccinated before they get to you, but it's always important to check what jabs your pet has had before you take it home. Remember, it's never too late for your adult cat to have its primary course of vaccinations. To find out more read this advice from Blue Cross for pets. Be careful that your new puppy doesn’t mix with other dogs or go outside until they’re vaccinated. You can ask your vet about anything you're unsure of, or visit the PDSA website for more information. How much do pet vaccinations cost? An initial course of vaccinations for a puppy or kitten may typically cost between £30 and £70. It'll depend on your vet, the diseases you want to protect against and possibly the breed of your cat or dog. Some pet insurance policies could cover part or all of the price, so check the terms and conditions when you are comparing plans. Feline infectious enteritis (FIE) – a severe gut infection and a vaccination must. Cat flu – essential to protect your cat against the two common types of cat flu. Feline chlamydophilosis – causes conjunctivitis in cats and is only necessary in certain circumstances. Usually affects multi-cat households and kittens. Feline leukaemia virus (FeLV) – this is a must for outdoor cats. A lifelong infection that is fatal and passed on through direct contact between cats. Leptospirosis – this causes very serious symptoms including kidney and liver damage. 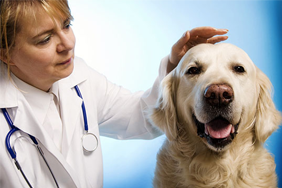 Distemper – can cause serious neurological symptoms and can be fatal. 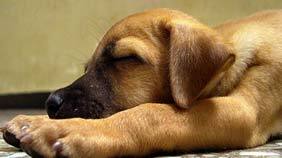 Parvovirus – causes acute vomiting and diarrhoea and is often fatal, especially in puppies. Hepatitis – a liver infection; although not common it can be serious. Para-influenza virus – one of the viruses that causes kennel cough. Bordatella – a bacterial infection that also causes kennel cough. Rabies – your dog will need this only if you’re planning on taking it overseas. Accurate records of the vaccinations your pet has had should be stored on computer at your vets, so the information is easily accessible. As well as monitoring your pet’s health, a vaccination history is necessary if you take your pet abroad, or if for whatever reason, your pet should need to transfer owner. Find a cheap quote now. Get cover for your cat or dog from Confused.com. 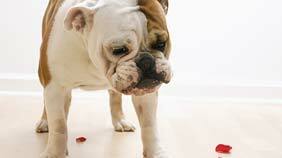 If your circumstances change, how can you change the details of your pet insurance policy? Making a claim on your pet insurance is pretty straightforward - here's how you do it. Find out what you need to know about vaccinating your cat or dog.